The BJP MLA couldn't have got more sexist as he questions Mayawati for her grooming choices. 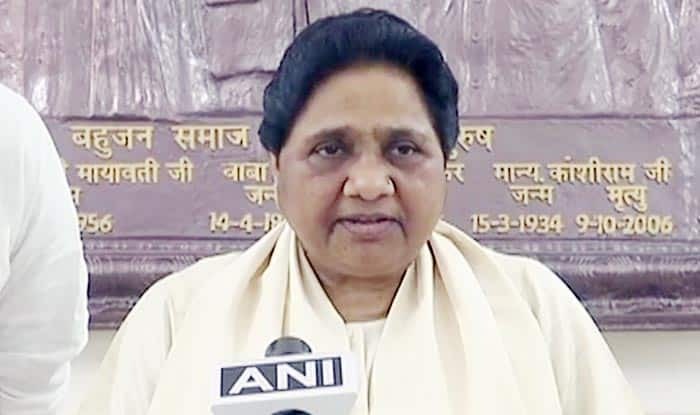 Lucknow: Another leader couldn’t restrain himself from passing comments on a fellow woman politician on Tuesday as the race to Lok Sabha hots up. When media asked BJP MLA Surendra Narayan Singh for his reaction to Bahujan Samaj Party chief Mayawati‘s attack on Prime Minister Narendra Modi, he sought to redefine ‘shaukeen’ while attacking the former chief minister of Uttar Pradesh. He asked how Mayawati could call the PM ‘shaukeen’ when she herself was getting facials done every single day. “She is 60 years old and has not one grey strand. That’s because she keeps getting it coloured. And she calls our leader ‘shaukeen’? Mayawati ji, by colouring your hair, you are trying to prove yourself young? he asked. On her part, Mayawati hadn’t named PM Modi but had said that someone who lived like the royalty was first sought votes as the ‘chaiwala’ and this time around, he is asking for votes as the ‘chowkidar’. Only a day ago, BJP’s Union Minister Mahesh Sharma had made a sexist remark against Congress leader Priyanka Gandhi Vadra by calling her ‘Pappu ki Pappi’. Referring to Congress president Rahul Gandhi as “Pappu”, the Union minister went on to call his sister “Pappu ki Pappi”.